Nino Schurter belongs without any doubt to the select list of the most successful mountain bike athletes in history. The Olympic and 5x World Champion is the leader of SCOTT-SRAM MTB Racing. https://www.bledbikefestival.com/wp-content/uploads/2017/08/N1NO_bled_bike_festival_mtb_slovenia.jpg 1013 1800 Matej https://bledbikefestival.com/wp-content/uploads/2017/02/bbf_660_trans-300x300.png Matej2017-08-06 18:11:112017-08-06 18:32:13World Premiere of Documentary "N1no Schurter - A Moutain Biker's Hunt for Glory"
The main event of Bled Bike Festival is Mountain Biking Marathon. The contestants will have two courses to choose from: longer, 102,6-kilometre Bled Bike Epic and shorter, 62,6-kilometre long Bled Bike Marathon. Each contestant will have to overcome 2.904 meters of height difference on Epic route and 1.710 on Marathon route. The both Mountain Biking Marathon courses are considered to be technically challenging. https://www.bledbikefestival.com/wp-content/uploads/2017/07/bled_bike_festival_epic_mtb_ride_02.jpg 902 1700 Matej https://bledbikefestival.com/wp-content/uploads/2017/02/bbf_660_trans-300x300.png Matej2017-07-24 11:54:382017-07-24 12:12:47Are you Epic? Specialized mission is simple—to be the brand of choice for discerning riders. Founded on performance and fueled by innovation, our focus on the rider and their needs is our constant. From seasoned pros and weekend warriors, to kids and commuters—if you ride, we’re for you. Bled Bike Festival and our partners hosted media representatives. What a weekend! Our »adventure« days started in Hotel Park Bled with the presentation of 3-day Bled Bike Festival event. Our guests, coming from United Kingdom, Italy, Hungary and Bosnia and Hercegovina were impressed by the diverse program of the festival and its scenery. »No doubt, festival with a view!« was heard in Špica Restaurant, at the dinner table at the end of the day. Did you know that Škoda has started its life as a cycle company? Yes, in 1895 co-founder Vaclav Klement and bike mechanik Vaclav Laurin began producing their own bicycles, called »Slavia«. Just after a short time, the bicycle range was expended also with tandem bikes, children’s bikes and tricycles. Did you know that Škoda has started its life as a cycle company? A dozen of media people have attended first media press conference in Best Western Premier Hotel Lovec. 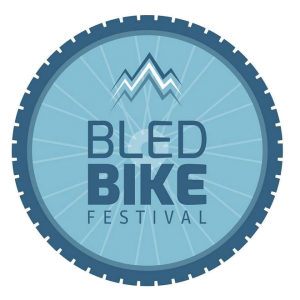 Bled Tourism Board and Bled Bike Festival Organisation Team presented the whole programme of 3-day-event in Tourism Information Centre, in Olympic Rowing Center and on three major plateaus in the Julian Alps. Special interests and attention were paid on permissions for the Sunday’s Race, which also takes place in The Triglav National Park. I would like to describe a bit how we have developed the final race course. We started from scratch! The anchor was start and finish point, town of Bled. First issue was decision about the length of the race course. We decide for shorter, 60 km, and longer, 100 km, race course.